For patients, caregivers and loved ones in the breast cancer community, finding the answers they need can be overwhelming. There is no shortage of available information; however, they have unique needs that require unique answers. When Melodie Wilson Oldenburg was diagnosed with breast cancer in 1992, she struggled to find someone who understood her needs and could answer her questions. To ensure others would not have to endure a similar struggle, she launched ABCD: After Breast Cancer Diagnosis (ABCD) in 1999. 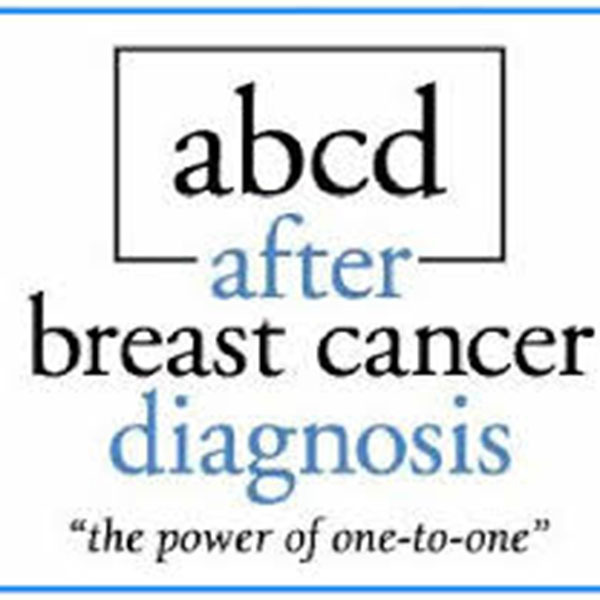 A web/phone­–based organization, ABCD offers free, personalized one-to-one mentorship to any individual affected by breast cancer. Since its founding, nearly 1,000 people have completed ABCD New Mentor Training and with a mentor database of nearly 600 currently active, professionally trained and supported survivors and co-survivors available today, ABCD is connecting individuals and changing lives. One of the driving forces of ABCD is that research has shown that quality emotional support for breast cancer patients can be as significant as medical support, Judy Mindin, ABCD’s communications director, said in an interview with CURE. “There’s a big push in the entire breast cancer community on being sure patients have the emotional support they need while going through their journey. Now that survivorship support is more formally appreciated, our partnerships with healthcare professionals are growing rapidly,” Mindin noted. “We match individuals on the personal, as well as diagnostic level — the details of their personal circumstances are as important as their specific diagnosis. We also factor in what’s the most important priority for each individual. For example, a lot of women are terrified about losing their hair; others have questions regarding their relationships or how to discuss their diagnosis with their children,” says Mindin. Mindin also stressed that the mentorship program is not limited to patients and survivors: caregivers, family members and friends are all welcome to partner with a mentor. Male breast cancer patients are supported, as well. There is also no maximum or minimum length of time to the mentorship program. Some individuals need only one phone call to obtain the answers they need, while other matches continue for years, said Mindin. There is no limit to the number of mentors a patient can have. “You can end up with one, you can end up with five. It all depends on what your needs are at different stages of the experience and how close we can match you,” said Mindin. ABCD is headquartered in Milwaukee, Wisconsin; however, “The Little Engine That Could,” as Mindin refers to ABCD, started actively offering its mentorship program nationwide a few years ago. Mentoring complements ABCD’s national survivor “staffed” helpline. In addition to Wisconsin, ABCD has held training sessions in Illinois, Michigan, Tennessee, Texas, and Washington DC, for individuals interested in becoming mentors. Mindin noted that there is one key requirement for patients interested in mentoring. “Our goal is to hold onto Melodie’s legacy and to help as many women and men and family and friends as we can,” said Mindin.